Coordinated by the Centers for Water and Wildlands Resources which was located at U.C. Davis. The Center has moved to U.C. Riverside, and is now called the Center for Water Resources. This publication consists of the online version of a CD-ROM publication, U.S. Geological Survey Digital Data Series DDS-43. The data for this publication total 175 MB on the CD-ROM and 167 MB for this online version. This online version does not include the Acrobat Search index files. It also has a link rather than files for the Adobe Acrobat Reader installer mentioned below. The Sierra Nevada Ecosystem Project was requested by Congress in the Conference Report for Interior and Related Agencies 1993 Appropriation Act (H.R. 5503), which authorized funds for a "scientific review of the remaining old growth in the national forests of the Sierra Nevada in California, and for a study of the entire Sierra Nevada ecosystem by an independent panel of scientists, with expertise in diverse areas related to this issue." 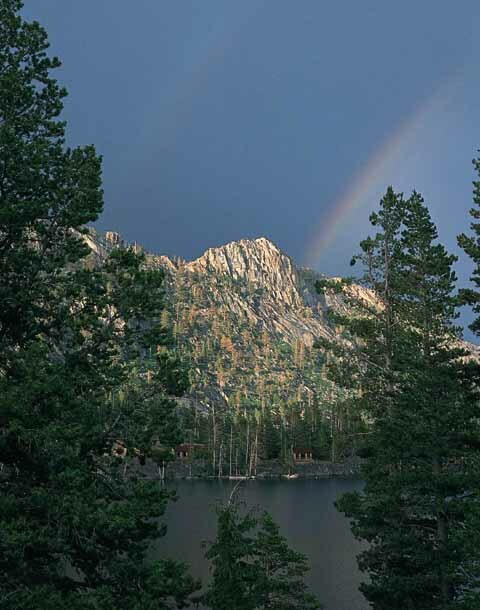 This publication is a digital version of the set of reports titled Sierra Nevada Ecosystem Project, Final Report to Congress published in paper form by the Centers for Water and Wildland Resources of the University of California, Davis. The reports consist of Wildland Resources Center Report No. 39 (Summary), No. 36 (Vol. I - Assessment summaries and management strategies), No. 37 (Vol. II - Assessments and scientific basis for management options), No. 38 (Vol. III - Assessments, commissioned reports, and background information), and No. 40 (Addendum). Vol. IV is a computer-based catalogue of all public databases, maps, and other digitally stored information used in the project. Vol. IV materials are listed under the SNEP name and available on the Internet from the Alexandria Project at the University of California at Santa Barbara and the California Environmental Resource Evaluation System (CERES) project of the Resources Agency of the state of California (see links below). The report is provided as PDF files for which you will need Adobe Acrobat Reader 3.0 or later to view. You can download a copy of the latest version (4.0 at the time of this publication) by clicking the button above. If your copy of Acrobat Reader has "File" "Preferences" "General..." "Open Cross-Document Links In Same Window" selected, you should deselect it. This will keep the main document open while you open and close other PDF files. CLICK HERE to view the SNEP report now (DDS-43.PDF; 99 KB with links to about 100 other PDF files totalling 167 MB). We also included an extensive bibliography to the Lake Tahoe Case Study and to the Mediated Settlement Agreement for Sequoia National Forest Giant Sequoia Groves omitted in the printed version because of space limitations. These data are available in three formats in addition to the PDF versions mentioned above: Microsoft Word 6.0 (.DOC), Endnote 2 database (.EN2), and ASCII (.TXT). CLICK HERE to enter the directory. Valentine Eastern Sierra Reserve (VESR) administered by the University of California's Natural Reserve System (NRS). It consists of two sites, Valentine Camp and the Sierra Nevada Aquatic Research Laboratory (SNARL). CLICK HERE to view the version-history file for this report. E-mail comments to Michael F. Diggles (mdiggles@usgs.gov), U.S. Geological Survey.